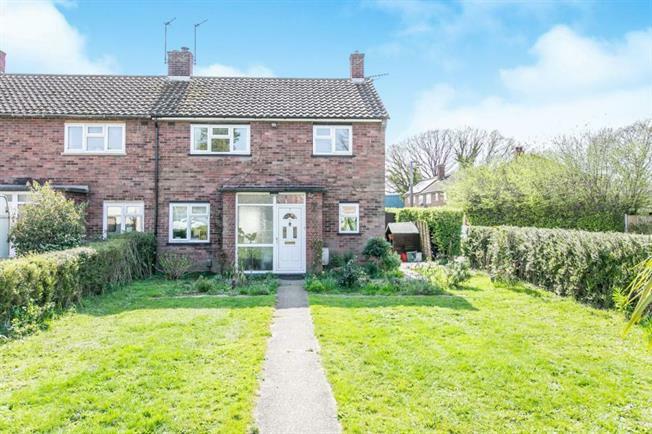 3 Bedroom Semi Detached For Sale in Colchester for £280,000. CLOSE TO SCHOOLS! This beautifully presented family home located in the heart of Shrub End is perfect for the family. Situated a short walk from all amenities including a large supermarket and within half a mile of EIGHT Ofsted rated 'Good' Schools. The sales team fully recommend and internal inspection. Window to the rear, side and front, Modern Kitchen units with integral electric over and electric hob with extractor over, plumbing for dishwasher and washing machine, rolled edged worktops with seperate breakfast bar, door to rear garden. Window to Rear, Two piece white bathroom suite, Wash hand basin with vanity cabinet under, Panelled bath with mixer taps and shower attachment, Radiator with wall mounted towel rail above. Made from concrete panneling with an up and over door.